Do you remember last year I got me some great items from Zazzle? Zazzle are an online company who customize just about anything you can think of. 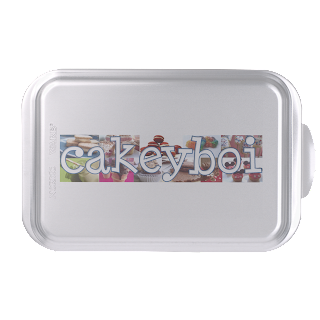 Last year I received a Cakeyboi baking tin, emblazoned with my logo on the lid, plus an apron again with the website logo on the front. Zazzle can customise so many things – it’s mind-boggling. Just on their home page, you can add your own creation to phone cases, water bottles, backpacks, magnets, badges, business cards. Believe me, that is only scratching the surface. I recently ordered up some favour boxes, for popping sweet treats into. I opted for a simple design of my website favicon – the orange C, repeated all over the box. These favour boxes are too cute, perfect for a wedding favour, or for kids parties, baby showers and so on. And there are various sizes and shapes of favour boxes to choose from too. They start at £1.45 per box. 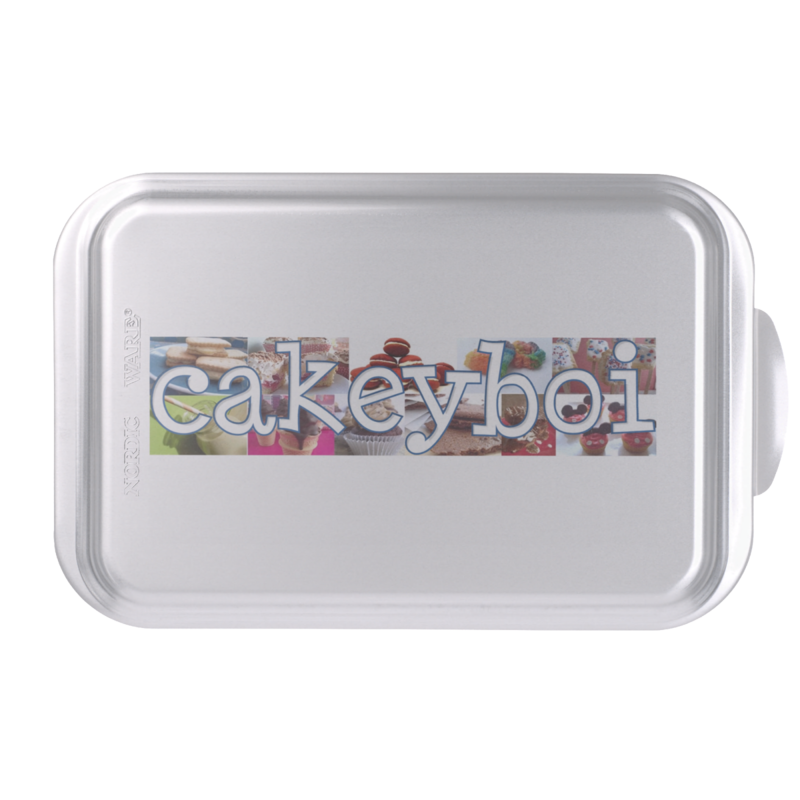 I also decided to get some Cakeyboi stickers made up. These are big stickers which have multiple uses. I popped one on a cake box, which I was giving to someone as a gift. I also have a folder in the house, made up of magazine clippings, recipes which I use as inspiration for my baking, and popped one on there too. These cost £4.30 for a sheet of four. 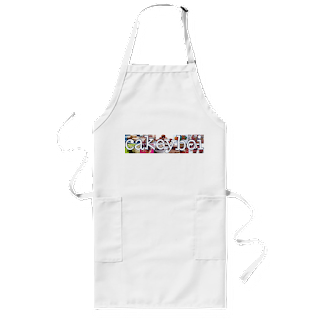 And Zazzle don’t just customize, they also sell items ready to purchase, with ready made designs that may take your fancy. For example, I ordered some cotton napkins in what I call ‘Cakeyboi colours’, they are orange and a turquoisey blue, colours that I love. Perfect for changing things up a bit if you are having a dinner party say and looking for napkins a wee bit different. Sifting through all the bespoke napkins took ages, as there are so may to choose from, but I found the exact ones I wanted. These cost £27.95 for a set of four. I was particularly excited to see they had a range of Flintstones items such as t-shirts, mugs, mousemats, cards etc. which I will be ordering some of very soon. There are loads of famous names that Zazzle have teamed up with for you to choose from such as Garfield, DC Comics, Sesame Street, Harry Potter - loads to choose from. If you are the creative type, an artist, graphic designer or photographer, you could even make money from Zazzle. You can join Zazzle as a designer and sell your custom designs on any products. Have a look here for full information. Zazzle is such a smorgasbord of ideas, gifts and fun you will spend ages on their website like I did. And as the title of my post says, why not come up with your own party decorations? You could create your own invites, design your own paper to make into bunting, have paper plates emblazoned with your design, give out favours in gift boxes. The only limit with Zazzle is your imagination! Disclosure Statement: I have been paid to post about Zazzle and received items free to review. As always any opinions expressed are my own and I was not expected to write a positive review. The Cake and Bake Show Ticket Giveaway!